We’ve all been there – you’re rushing to get somewhere with not enough time to do a proper shave, so you attempt to haphazardly dry shave. Bad mistake. Bumps, cuts, and other signs of irritation are usually what you’re left with, along with a whole lot of regret. To help you steer clear of doing that again, here’s all about the horrors of dry shaving, and why – no matter what – you should always make time to give your skin a proper shave each time. When you dry shave, you’re skipping out on the most important steps for shaving. Dampening the hairs with warm water and using a good, lubricating shaving cream are a must for avoiding razor burn, cuts, and bumps. Shaving without these essential ingredients literally places the blade directly against your skin, which will with tug and shred it during the process. Gentleman Jon Glycerine Shave Soap; 2.25 OZ. If you’ve ever dry shaved, chances are you’ve endured the inevitable stinging sensation afterward. The stinging can actually end up lingering for a few days in some cases and applying moisturizer will only make it worse. The best thing you can do is wait it out, apply some Aloe Vera to calm it down and promise yourself to never dry shave again. Aside from lubricating the skin to allow the razor to glide along it easily, shaving cream also helps moisturize it too since shaving strips away the top layer of skin. Dry shaving ends up seriously drying out your skin, leaving it looking dull and flaky. Plus, since it’s extra sensitive, applying moisturizer is not a wise move since it will most likely cause that dreaded stinging. When you end up dry shaving, you’re creating a recipe for bumps and razor burn to occur, leaving your skin tender and unattractive. Without softening the hairs or exfoliating beforehand, you’re just hacking away at the hairs and dealing with a thick layer of dead skin cells that prevents you from getting a clean shave. Having a hot shower or placing a warm damp towel on your beard and exfoliating will remove dead skin cells and allow the razor to cut the hair, and not your skin. Dry shaving is often met with a whole lot of tenderness, stinging, skin irritation and regret. Just avoid it at all costs. In fact, not shaving at all is usually a better move if you don’t have time to shave properly. 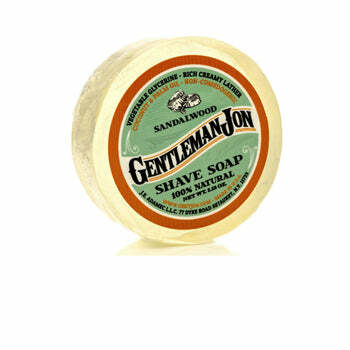 Gentleman Jon was established with the mission to bring classic wet shaving back to the people. We strive to bring you the highest quality shaving hardware and accessories, curated for the modern man at prices that will not break the bank.